More Paris! Specifically, the Marais, for chocolate and dolls. My cousin B sent us to Jacques Genin Chocolaterie, and I was questioning her choices a bit, because EXPENSIVE. But then they brought our lemon-basil tart, and our tasting selection of caramels, and a little extra selection of three chocolates on the house, and my mom’s tiny but lethal cup of coffee, and my POT OF CHOCOLATE. And I knew that hot chocolate in France is essentially melted candy with a little cream, but dude, I basically drank a bowl of ganache. Mom added it to her coffee as. 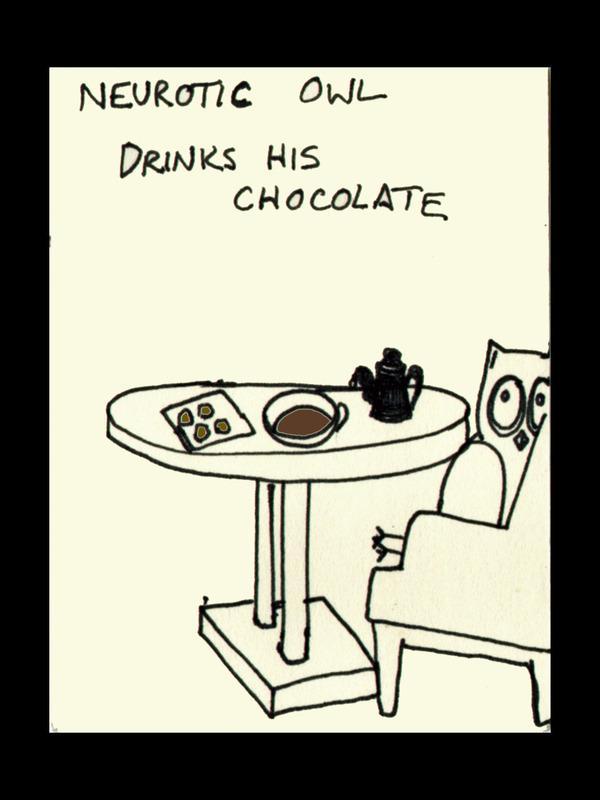 She sipped until she, too, just drank her chocolate straight. Nom. 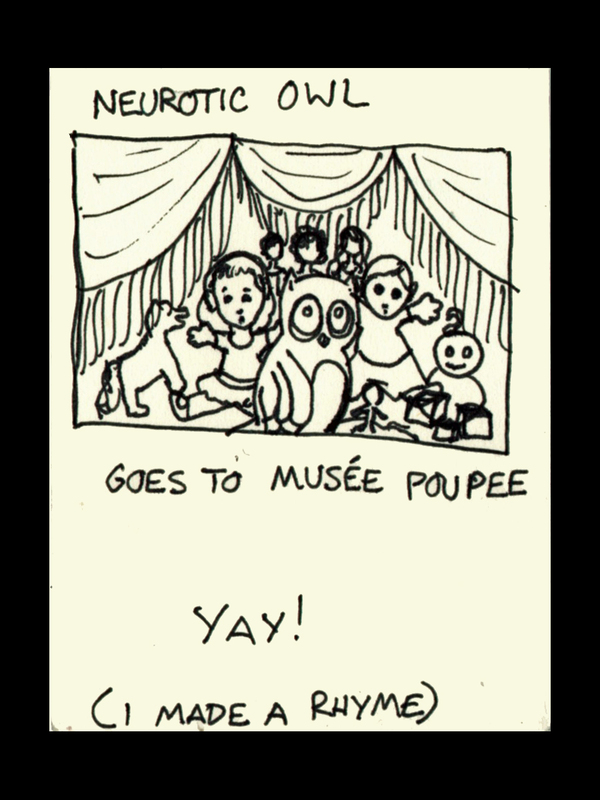 And we found a flyer for the doll museum while we were in Montmartre, so since it’s right near the Pompidou and seemed like a quick, fun stop, we did that thing. It was overwhelming and delightful, and the back room had a special exhibit of French tv characters from the 1970s, so now I know about Barbapapa and the Magic Roundabout. It’s also right next to a garden named for Anne Frank (and the Jewish museum, which we skipped). The garden was lovely and sweet, and there were tons of adorable kids playing in the playground, and it all made me very happy-sad. This entry was posted on October 15, 2015 by naralesser and tagged cookery, owls.